Block of the Month - 9 month program. Liberty Quilt. All pieced. 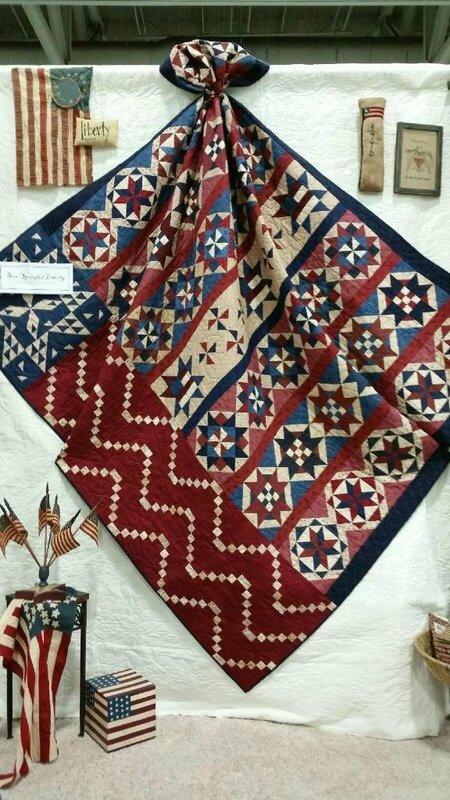 Size 74 1/4" x 78" & Bonus quilt included - American Spirit. Size 21" x 27"